More wonders from our Space2fly program! With support from the City of Greater Dandenong, our Space2fly program has created opportunities for two of our trainees. Sharifeh and Chaw have been supported by Space2b to become mentors with their own groups of women. 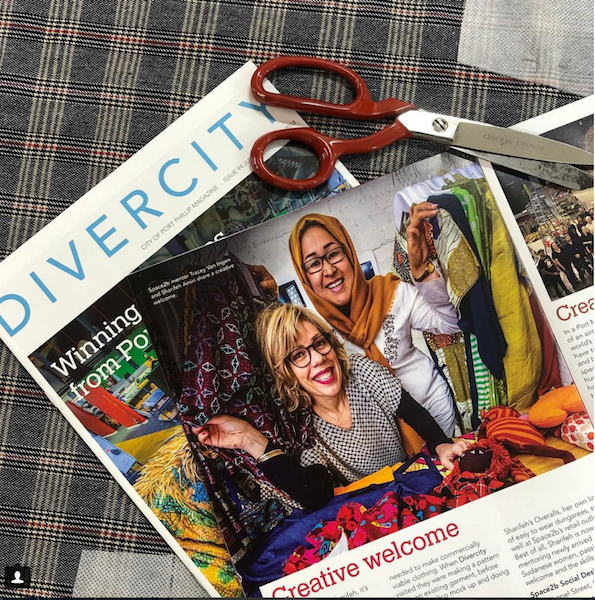 Working with our skilled mentor Tracey van Ingen of Shortlist clothing, they started as trainees themselves and have enthusiastically developed their product making skills to mentor others. 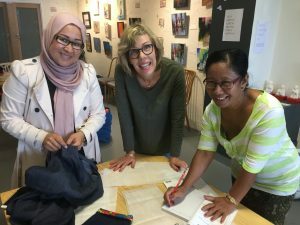 Sharifeh, Tracey and Chaw in a mentoring session. Starting in our program with basic sewing skills, Sharifeh has now developed her skills in pattern making. This has created new opportunities for her and her dream to create her own tailored made clothing business. 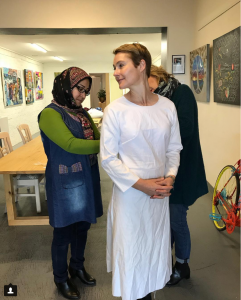 Here is Sharifeh fitting a bespoke garment for one of our local community retail customers with the guidance of her mentor Tracey of Shortlist. 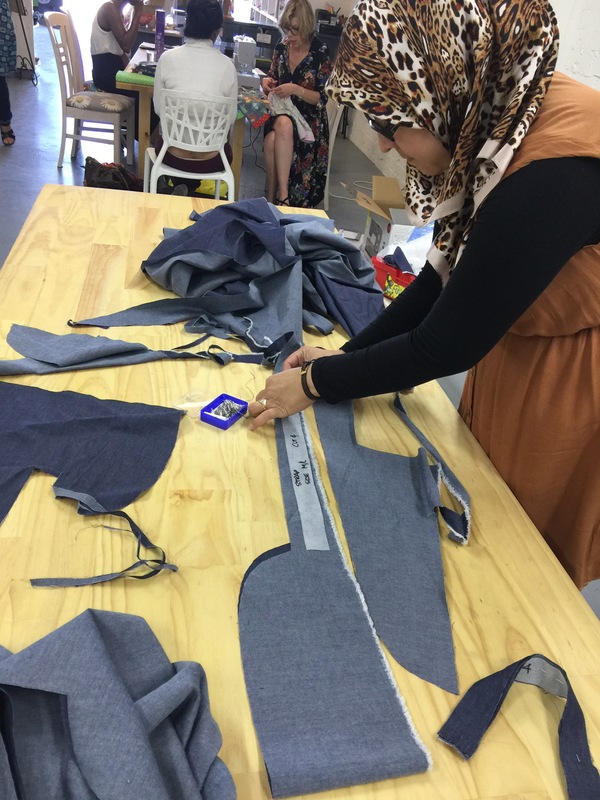 Creating popular denim dungarees for sale in our Space2b retail store! 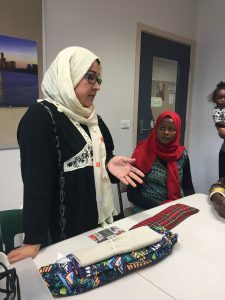 Sharifeh mentoring refugees of the StandUp Women’s Group in sewing skills has boosted her confidence. Starting out learning sewing and developing her own brand here at Space2b retail outlet, Chaw now mentors other women. She trains women from the Burmese Community located in Dandenong, sharing her passion for sewing. Check out her interview in the Star Journal. 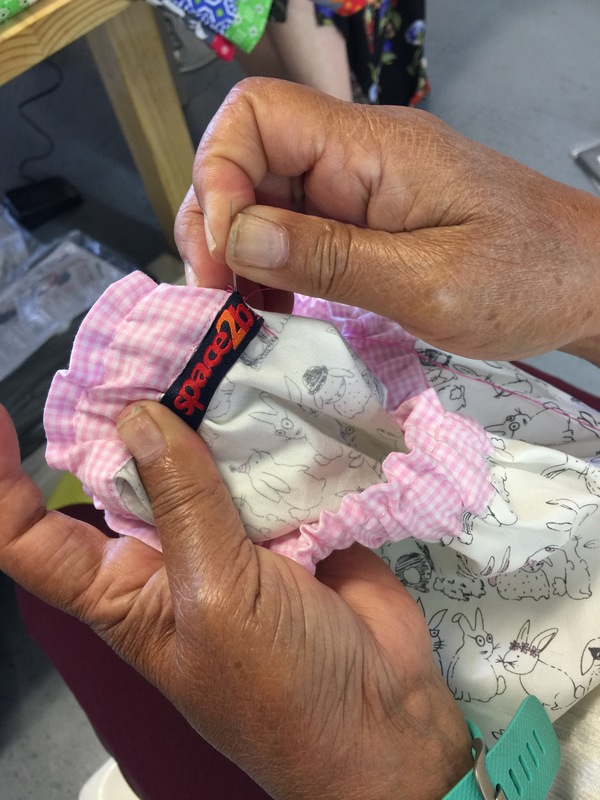 Chaw carefully labelling hand made children’s clothing for Space2b. Chaw showing her trainee Lai Lai how to merchandise in our retail store. Chaw stands by her trainees making sure they know what they are doing and helping them develop their skills. 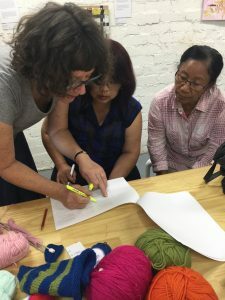 Chaw helping LaiLai understand a new pattern by our volunteer skills mentor Cathy. 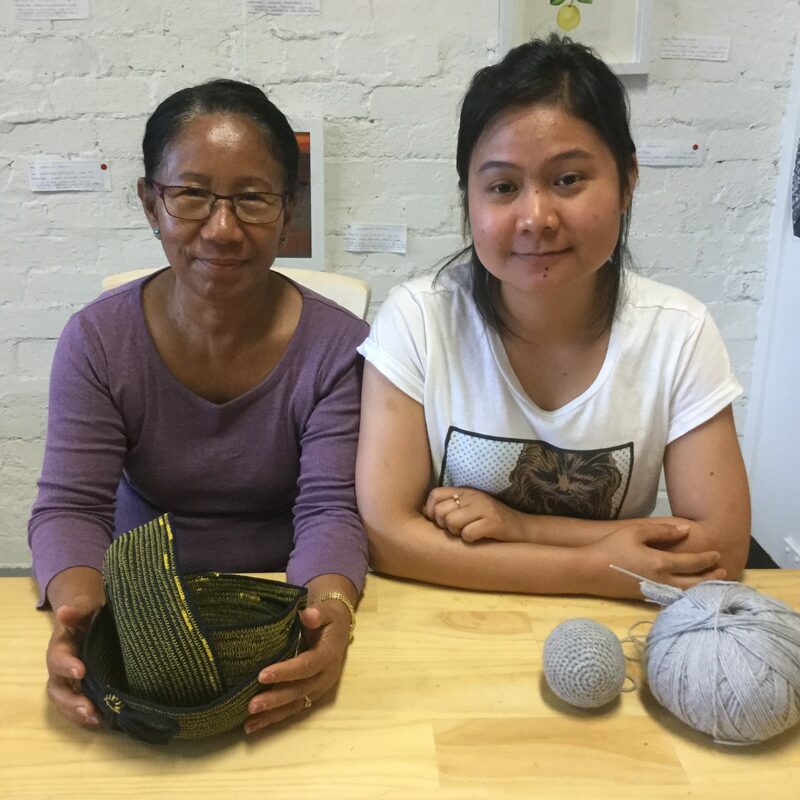 Chaw helping Pah Lae knit her toy koala and Chaw with her handmade cotton baskets sold at Space2b. 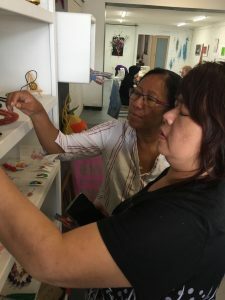 What a wonderful creative and fulfilling year of our Space2fly program! We are looking forward to our program creating more opportunities for our program participants as we fly into the future! Thank you to all our funders, mentors, volunteers, people who donated materials and have supported us here at Space2b to run our programs as together we make a difference!